5G technology may take time to arrive in India but Oppo is a step ahead and thinking to manufacture a smartphone which can support 2G, 3G, 4G and 5G. 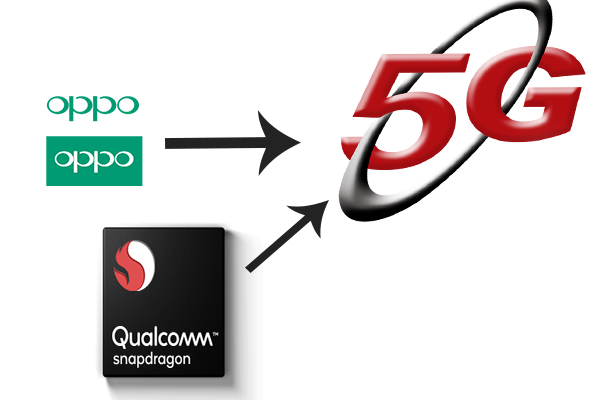 Looking at ‘5G Pioneer Initiative’, Qualcomm is going to offer Oppo with 5G smartphones, consequently to users can get a new experience. Nowadays in 2018 Qualcomm Technology is popular in China. Oppo, which is known worldwide as a smartphone manufacturer in the world, has announced its partnership with Qualcomm. This statement is conducted by the company for making of 5G devices. Both companies will be collaborating with each other for making 5G smartphone devices. Oppo, will be responsible to build this device, and Qualcomm will guide it. Oppo CEO Tony Chen illustrate the growth and prospect of international mobile technology in a press conforence, he said, “5G mobile network technology is going to change the global mobile industry structure, and mobile phones will become the main object like router for the Internet. Oppo has been focusing on innovation in recent times, which has laid the foundations for 5G smartphones related R & D. In the future, Oppo is going to continue investing on some technologies such as 5G and AI to make phone more smarter and useful. Oppo is preparing for newer and reliable 5G products and other higher unique technologies which users wants. On January 16, 2018, IMP-2020 (5G) endorsement Group, a famous endorsement organization noticed by three official ministries in China which released 5G technology R & D test phase 3 stipulation in Beijing. Oppo has participated in it as the Smartphone manufacturer and has contributed to preparation of the 5G standard.